The Octagon heads to Nashville, Tennessee on Saturday and on the main card will be Canadian John Makdessi taking on Jesus Pinedo. 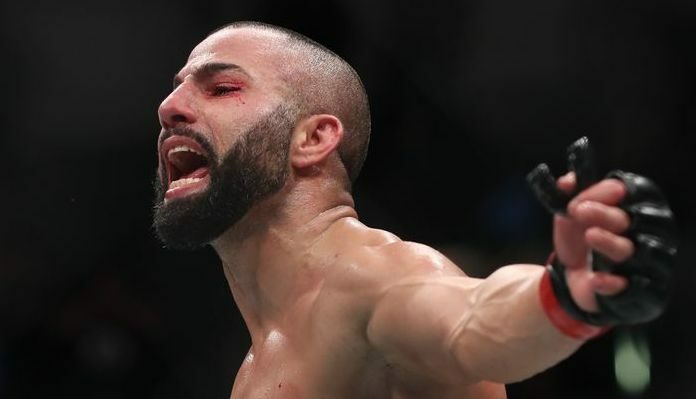 For Makdessi it has been a long road to get to the Octagon after having to pull out of UFC 231 with an injury. Now, Makdessi is ready to fight again and have legendary coach Duke Roufus in his corner. Training under Duke Roufus has been huge for Makdessi’s career and he knows he has gotten better since the move to Milwaukee. “It is very hard for me, I won’t lie. Emotionally and spiritually, like it is not my home. As a human being, it is hard, but as a professional it is good,” he explained. “I am always improving, it is crazy the number of things I am learning. The goal is to keep learning and feeling motivated to go into the gym every day. My goal is to get better every day. I put myself in isolation here and it is not easy to be in isolation and alone. 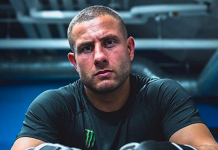 I’m just focused on training and fighting. For Makdessi, the hope is he gets another win and extends his winning streak to three. Once he does that, with the retirement of Georges St-Pierre, Makdessi is ready to take over as the next big Canadian star in the UFC. John Makdessi is just ready to fight come Saturday night. The hard work is behind him and it is now fight week. In order to win, Makdessi knows he will have to use his game plan which he is confident about.